I read this book to my daughter at bedtime. It's very odd. I mean, humans give birth to a mouse and no one thinks it's strange? I know, it's part of the story, along with talking animals and the like. Also, Stuart Little takes off on his grand adventure and didn't say goodbye to his parents. As a parent, this thoughtlessness really disturbed me. They must've been so worried! 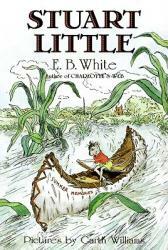 Really though, I thoroughly enjoyed this book again (I read it when I was young) and, more importantly, so did my daughter. 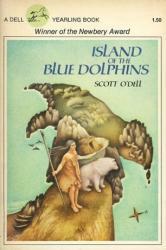 This book is about a girl who lives by herself on an island. It's a story of empowerment, as the main character learns to live and thrive alone. She doesn't seem to let her circumstances get the best of her. I'd recommend this novel to young girls in particular as the narrator is a strong and capable girl. Such a classic. You might think that a book about frontier life on the prairie would be boring, but it's not. Well, I did skip a few places that detailed the construction of the cabin etc. Otherwise, it's relaxed in most places and downright exciting in others. 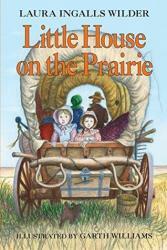 The book is told from the perspective of the middle daughter, Laura Ingalls. I love that the author is writing about her family. Thumbs up! 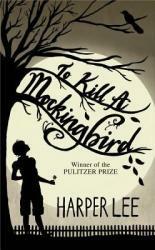 To Kill a Mockingbird shows us that growing up can not always be as easy as it seems. Especially when you live in Maycomb, Alabama, and your father is a lawyer defending a black man. Scout grows up not knowing much about the real world it is not until the trial that turns the whole town upside down that she really discovers how the South is really run. I love how relatable the characters are to teenagers like us today. I love how simple the story line is and the literature is beautiful. It tells you simply how things should be, it states things blatantly through Scout's eyes. The only thing I did not like about the book is that at some points it was hard to follow the story line. Although the story is very simple it got more complex when reading further. I chose this book because I had heard from many people that this was an incredible book and decided to see for myself. The book itself did surprise me as it did have a rather twist ending that was rather unpredictable. The characters were extremely relatable, I could see that in certain situations I would have acted similarly. I would say that it is definitely one of the best book I have read this year or even ever for multiple reasons. It can relate to old and young and describes an issue that still exists today. 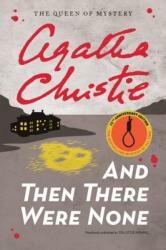 I often have a hard time with mysteries, but And Then There Were None was classic, suspenseful and just plain enjoyable. The audiobook version was especially entertaining, perhaps because the original story was written as a play under an alternate (and controversial) title. The characters feel like they were the predecessors to the characters found in the game Clue. They are equally sinister and sympathetic. I am particularly intrigued with the connecting reason all of them have been brought to the island and the psychological effects of that reason. To the very end Agatha Christie teases your deductive reasoning skills. You always feel like you are on the cusp of finding out who the killer is, and then you're wrong! I was completely at a loss by the end. Thanks goodness for the epilogue. This is a timeless mystery classic. 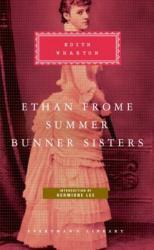 Ethan Frome by Edith Wharton is a tragic love story between a poor miller with an ailing wife and his wife's cousin. Ethan Frome was a poor sawmill owner who got the mill from his father after he and his mother died. While his parents were on their death bed a girl named Zeena came to help take care of them while Ethan ran the mill. Zeena caught his parents sickness and also fell ill. Ethan did not abandon her, instead, he married her. Not long after their marriage Mattie, Zeena's cousin, came to stay with them after her father death. Mattie and Ethan fell in love though they could not be together because of Zeena. Will Ethan and Mattie ever be together? Little Women, a classic novel by Louisa May Alcott invites the reader into the world of the four March sisters in 1861 during the Civil war, who were living in Concord, Massachusetts. The Marches were poor, but happy, and their father was fighting in the war against the South. Meg, the oldest, was the most typical woman of her sisters (at the time). A lover of luxury and good society, she was the most proper. Jo, the second oldest was a free spirit and loved to read and write. She was a complete tomboy. Beth was the second youngest and very sweet. She had a plethora of pet cats and loved music. Amy was the youngest, and she loved art of all kinds. Like her sister, Meg, she also loved luxury. Little Women follows their story for about 15 years. Overall, the book was very interesting, but at some points, it became extremely long-winded and sometimes even boring. However, most of the parts were very interesting and entertaining. You grow attached to all the characters in the book. 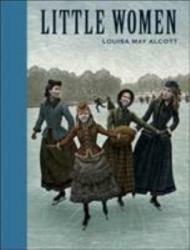 Little Women was a wonderful book, and I hope to read it again soon. 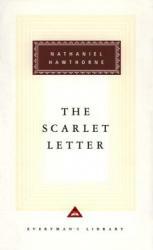 Many readers are immediately turned off by the immense depth and length of this classic (450+ pages). 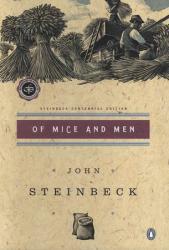 However, within the hundreds of pages, Steinbeck is able to create a realistic world with dynamic characters and an immersive story line. 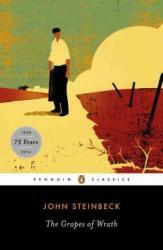 The book takes place during the Great Depression era, and the story follows the Joad family as they travel to California after losing their family farm. The story begins with the main character, Tom Joad, returning home from his time in prison. He quickly finds out that the Joad family farm has been repossessed, partly due to the Dust Bowl, and the entire family must travel to California in search of work. Along the way, the family meets and interacts with many characters facing the same difficulties of the Great Depression. Throughout the book, we see the hardships faced by these characters, which accurately correspond to the struggles of those during the 1930's. As an avid history nerd, I found myself quite intrigued by the story, since I was able to feel more connected to this tragic time in American history. Overall, I greatly enjoyed reading this book, and would strongly recommend it to someone who has an interest in history and enough free time to tackle this classic title. It had be a while since I first read it, but I found this book just as powerful as I did the first time, though perhaps for different reasons. Lenny's psychotic break was lost on me the first time, but now I was so disturbed I found myself reading those passages as fast as possible so I didn't have to linger on his pain and suffering. After all, how else could he react to what he had done? All he could do was punish himself the only way he knew how: Criticism from those important to him. So heart-wrenching. Meanwhile, George did what he had to do, but his spirit is broken as a result. A stark exploration of friendship and loneliness. You may be thinking that based on the title it is the fifth book in a series of horror novels, but I assure you that it is not. Slaughterhouse-Five is a very thought provoking and poignant anti-war novel that has elements of science fiction, including 4th dimensional time travel and aliens. It’s a nonlinear story that follows a man named Billy Pilgrim as he travels throughout different moments in his life, weaving back and forth through differing time periods. He travels from his time as a chaplain’s assistant in World War II to his normal life with his wife and children to being an exhibit in an alien zoo on the planet Tralfamadore. By becoming “unstuck in time”, as Billy puts it, he is able to relive these moments in his life and reflect upon them more deeply. This book is one of the best representations of 4th dimensional time travel that I've come across, and if you ever struggle to grasp the concept of time as the 4th dimension, as I do from time to time, then this book will certainly help create a better understanding of it. The book centers around Billy Pilgrim’s experiences during the war and all of the atrocities that he has seen, culminating at the end with the Bombing of Dresden, a moment which influences the rest of his life. By being told out of chronological order, the structure of the book drives the importance and impact of the moment rather than just describing what happens next and it creates a sort of puzzle that the reader must put together. It is full of satire, wit, and black humor that is vintage Vonnegut and is one of the strangest meditations on war and humanity. 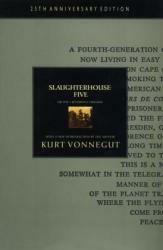 If you want an extremely thoughtful book that challenges your perspective, then I highly recommend Slaughterhouse-Five by Kurt Vonnegut. Reader beware, this is my favorite book. This is probably the fifth or sixth time I've read it. It's observant, subtle, and cleverly written. I come away with something new every time I read it. This time I felt for Elizabeth upon coming to the realization that her father was greatly to blame for the shortcomings of her three younger sisters. 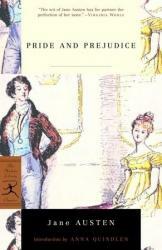 Oh, and Mr. Darcy's subtle devotion to her was more apparent to me this time around. It's easy to imagine the BBC version and characters while reading, but this book - like most books - is more richly constructed than the mini-series. Two men, George and Lennie, wander aimlessly throughout the West Coast of the United States during the Great Depression, looking for any kind of job. Lennie is a large, strong, migrant worker who, unfortunately, has a mental disability. Whereas George is a skinny, quick-witted man who cares for Lennie. Lennie’s mental disability and his uncontrollable strength causes the two of them to lose every job they get and get driven out of town. 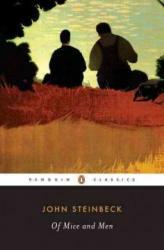 George does everything he can to keep Lennie out of trouble, partly because he promised Lennie’s Aunt and partly because he cares for Lennie; and Lennie tries to stay out of trouble, for their hopes of owning their own farms drives both of their motivations. Finally, they are able to find work on a small ranch in Soledad, California and actually make friends with many of the workers. Their dream of accumulating enough money to own a ranch is close, but Lennie’s disability could cause them to lose even this job. During a softball game in Brooklyn, New York in 1944 between two different Jewish sects, Danny Saunders hits the ball and smacks the pitcher, Reuven Malter, right in the face knocking him out. Reuven is sent to the hospital, and when Danny comes to visit him to apologize Reuven rejects his apology. Partly because he was mad at Danny, and partly because they were of a different sect. Eventually, Reuven forgives Danny and they develop one of the strongest friendships ever seen. Unfortunately, Danny’s and Reuven’s fathers develop a dislike towards one another, and Mr. Saunders forbids Danny from associating with Reuven. Their friendship grows distant, but after almost a year or two it seems like, Danny is allowed to speak to Reuven and they begin to repatch their friendship. During their friendship, Reuven sees a lot of Danny’s life and he finds out that Danny doesn’t want to be a Rabbi, but his father wishes him to. This book is a phenomenal classic and tells the story of how two friends from different, hostile backgrounds are able to have a friendship as strong as Lewis and Clark. 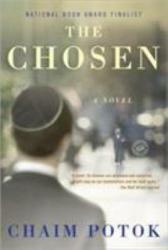 I recommend this novel to those interested in Jewish background, but it is a book that everyone can take something from. At only a smidgen under two-hundred pages, this book appeared to be a concise and quick read. Surprisingly, my experience was quite the opposite. The War of The Worlds presents a typical scenario that many novels have sadly claimed. The initial third is gripping and chocked full of descriptors and entertainment; the second third is nearly pointless to the main plot; the concluding third wraps the story up, leaving enough aspects unresolved for the imagination to expand upon, but doesn't carry on the initial third's promise. Thus, leaving the reader confused and with a feeling of wasted time. After reading the beginning chapters a sense of urgency becomes the overlying theme. 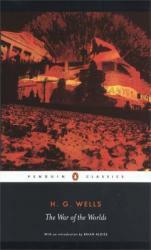 Peril soon engulfs the novel's setting as its characters realize the grave situation. The Author takes his time here by writing pages of description to meticulously set the scene. The story progresses to a small climax at the end of this third, which casts a shadow of high expectation on the other two thirds. This initial third is a marvel of a opener that brings honor to the class of classic English-literature. If paper could speak to its reader it'd ask that they'd grip their new-found excitement and trudge through the muck. The majority of this third's viewpoint comes from that of a flat secondary-character with little importance to the story. This characters presence only delayed the objectives that the first chapter created. Their travels were hectic; slightly smile inducing at times. Taking this character shift seriously was difficult as the pages grew thinner and crucial answers were yet to be disclosed. The author even goes as far as giving a figurative apology for sidetracking the reader at this third's close; H. G. Wells' canny sense of humor makes an unexpected appearance here. After hope for the story as-a-whole was drained, Wells restored the glorious successes of the initial third, but not fully. Excitement and intensity were brought back as the conclusion drew nearer. The story abruptly shifted to the round, main-character, again; swapping character who're in different settings is usually abrupt, so this isn't a true issue. This character goes on to see the conclusion, which wraps up most of the events and questions that the previous content created. I didn't find this novel to be terrible or great. 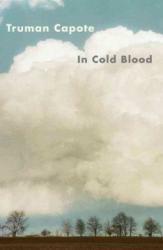 It proved to me that it's a mediocre work glossed with wild literary technique and vocabulary. Wells' persistence use of over description dimmed the natural flow and appeal of his writing. There's little reason to use half a page or more to describe minute details. It would have been better if he spent the time to detail the larger picture, rather than tiny scenes. Character development was superb at first, but fell flat due to the second third's character shift. If the second third was omitted in its entirety and, then rewritten without the secondary-character's perspective the novel would be vastly improved. Wells wasn't an illiterate fellow with corn for brains. His derailing of the story added multiple perspectives and was most likely an attempt to add another dynamic. The incessant over-descripting showcased his incredible vocabulary while portraying him as an over confident writer. Paying closer attention to the plot and character development will lead to a better story than any amount of impressive vocabulary ever could. It's clear that H. G. Wells is a gifted and skilled writer, but this certainly isn't a jewel. This book was very fun to read, it left you on the edge of your seat. It is a fairly short book. The story line has a fast pace. I would recommend this book to a more advanced reader. It is a riveting survival story centered in the Canadian wilderness.This book is now one of my favorites. This absurd book was a fun read. I enjoyed the humor and outrageous premise of the book. 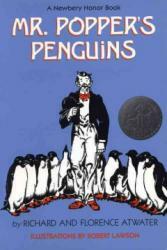 Mr. Popper makes many sacrifices for his family of penguins, but the sacrifice is worth it. 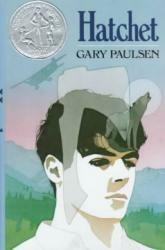 This book has won many awards and is a classic at my school. I especially enjoyed the unique ending to the satisfying story. An amazing classic and phenomenal success, Peter Pan by J.M Barrie follows the story of the children of the Darling family: Wendy, Michael, and John. One night, Peter Pan and Tinkerbell, a fairy, slip into the house of the Darling family and convince the three children to come with him to Neverland, a place where the lost boys live and also where magic resides. After flying there, the lost boys and Peter ask Wendy to be their mother and caretaker since they have never had mothers. Wendy accepts, only for a short while, but eventually she must leave and return to her parents, who are worried sick about them. 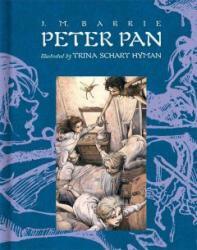 Wendy plans to leave, with the lost boys insisting on coming with her, but Peter refuses because he longs to be a young boy forever and never grow up. Leaving Peter on Neverland, Wendy and the lost boys fly away but are attacked by the pirates and captured, so Peter must rescue them, but can he defeat their leader Captain Hook? This book is considered somewhat childish due to Disney’s production of the piece, but the story holds deep and moral meanings that would appeal and interest almost any reader. follows the story of a young woman named Hester, who is charged with adultery and punished in the Puritan town of Boston in 1642. The terminology and language used in this book is very old so it may be difficult for readers to interpret the plot or even the text, I know it was for me. The plot is somewhat dull, as it follows the life of Hester who has committed the sin of adultery with a man in the town, and when her husband, Roger Chillingworth, comes back for her, he is determined to find the man and seek revenge. After her punishment, Hester is banished and forced to live on the outskirts of town. With the aid of the minister Dimmesdale, Hester tries to live peacefully with her daughter, Pearl, but will Chillingsworth thwart their plans and get his revenge on the man whom Hester refuses to reveal? I read this book for my AP Lang class and the beginning was very confusing. This novel is very difficult to follow and I wouldn’t recommend it to many people other than those who enjoy old and classic works, but overall the plot is one of a kind and teaches morals that are very significant. I’ve always loved learning about the holocaust and people’s stories. 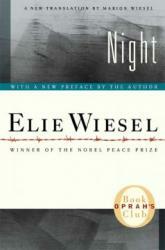 Elie Wiesel's story is the best one I’ve heard yet. He puts so much emotion into his story and his writing and it makes you feel like you’re in the holocaust. Elie starts his story off by talking about his religion and the church he went to. His instructor, Moshe the Beadle had been gone for so long, and when he returned he had a story of a near death experience with the Nazi's. Of course, no one believed his “story” and they carried on with their lives as normal. One night they got real news that the Nazi's were coming the next morning and that’s when everything bad started happening. All the walking, traveling, and suffering he went through was very interesting to read. My teacher read this book to the whole class in 8th grade and I instantly fell in love with it.